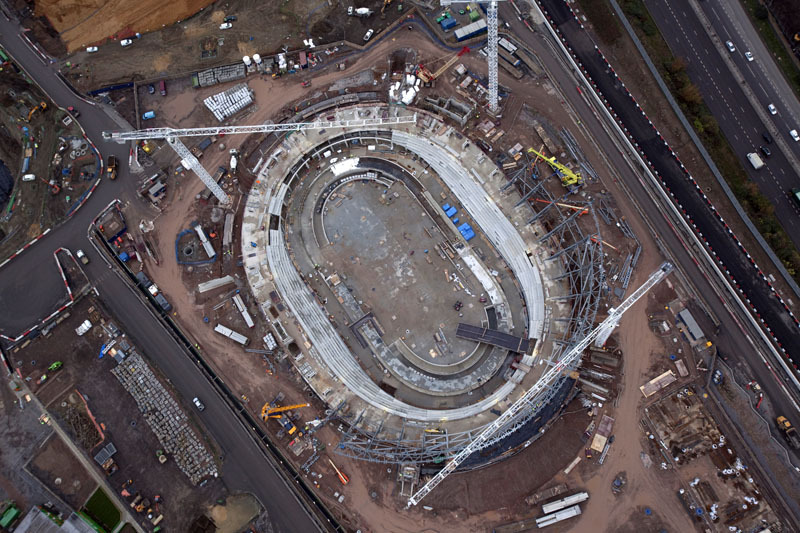 This latest overhead shot of the London 2012 Olympic Velodrome now half-complete shows its position to be more or less where the finishing straight of the old Eastway cycle circuit used to be. The “Big Five” venues under construction on the Olympic site are transforming the land either side of the River Lea running through Hackney. 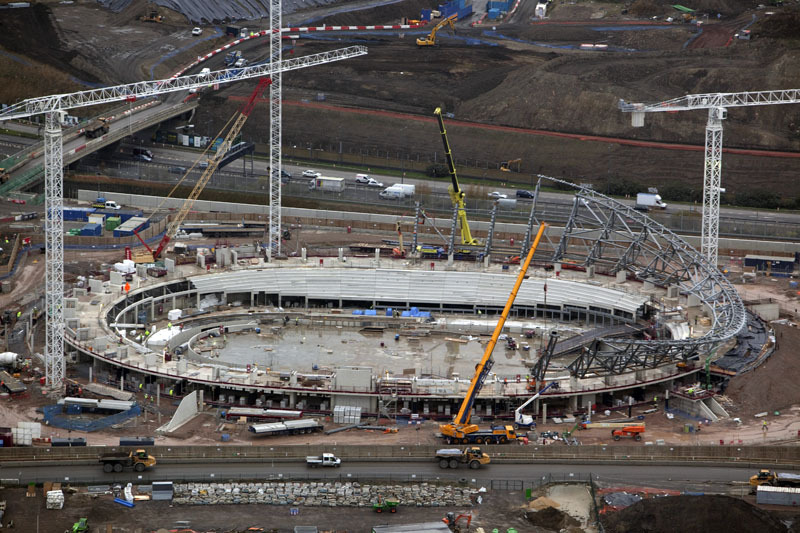 Contruction of the OIympic Stadium, the Aquatics Centre, the Village, the Velodrome and the broadcast and media centre are “firmly on track” in time for the Olympic Committee’s Coordination Committee Commission visit to London. Sebastian Coe, Chairman of the London 2012 Organising Committee, said: “In a little under 1,000 days time, the eyes of the world will fall upon this part of east London. The area is being transformed, creating new communities, new housing, and state-of-the-art sporting facilities.